How to start recording automatically when Audio Record Wizard starts up? -t and -o are not necessary. 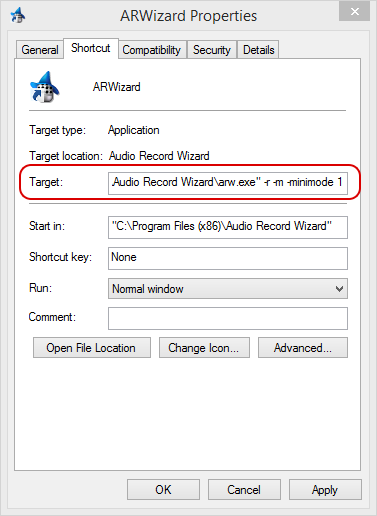 If you have enabled Auto-Name, just use -r to start recording automatically when Audio Record Wizard starts up. You can add the parameters to the shortcut on the desktop. Right click the shortcut, then click Properties.